The journalist who pulled the plug on the Nauru government for interfering with media freedom, Dan McGarry, was having a typical full day at the office, and elsewhere around Port Vila. Time was being taken up by the major event for his newspaper’s market, of a Chinese goodwill ship in port giving out free health care to thousands of citizens – and a revival of trouble over the earthquake on Ambae island. He’d joined the Prime Minister, Charlot Salwaii on board the hospital ship, Peace Ark, together with a Chinese Rear Admiral, Guan Bai Lin, recognising the visit as both a community happening and another part of China’s highly active influence-building. On Ambae where thousands have had to be evacuated since the earthquake and volcanic eruption a year ago, talk of a need for fresh evacuations was being matched with criticism of government relief efforts by the opposition. 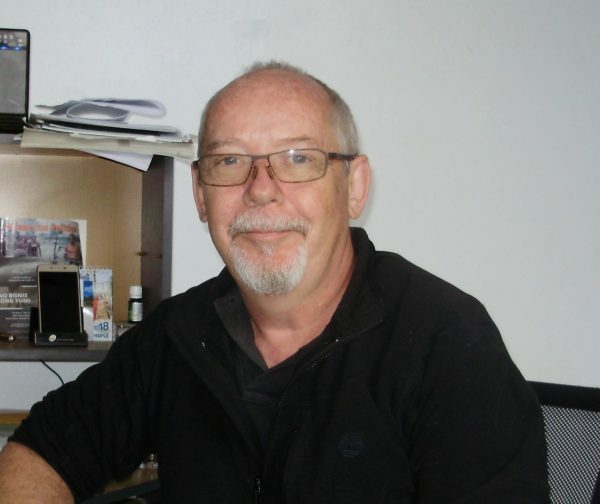 Dan McGarry, Media Director for the Vanuatu Daily Post, characterised this as a day in the life of a Pacific Islands journalist, something like the experience of a country journalist in Australia, where the audience, contacts, critics and personal friends are the same people. “Except that there are different cultures and you are reporting on national affairs”, he says. Life is tough enough for many people in the small island states, or “big ocean” states as some like to say, with limited development and economic opportunity. Add in the deeds of political leaders across the region partial to power without much responsibility, standing on their dignity, adverse to free circulation of information, and life gets more difficult for all – especially the small number of media professionals trying to get out essential truths. Awareness of getting out the truth on government interference promoted Mr McGarry’s decision early in July to cancel his outlet’s participation in the coming Pacific Islands Forum in Nauru. 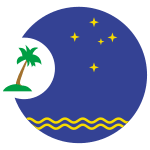 The Nauru government had announced its ban on a media pool for the summit during 1-9 September because the joint broadcaster for the group was the Australian ABC. It said the broadcaster was biased against it; its coverage of a Nauru election had come to “interference in domestic politics”, and it had given the island’s President some tough scrutiny, “harassment”, evidently over issues linked to the asylum seeker camps there. The ban was condemned by several Australian and Pacific media groups including the Media and Entertainment Arts Alliance (MEAA), the Canberra media gallery has had to consider a boycott on going, but News Corporation broke ranks, citing its own dislike of the ABC. In Port Vila Dan McGarry was hearing advice from esteemed colleagues in his region, that getting information was paramount, so never do a comprehensive boycott of an event. “That would apply with the Australian gallery together”, he said. “But for outside media to take a position might have some additional effect. “The Pacific Forum had been questionable to begin with. “At the last Forum, in Samoa late last year, media access was severely restricted on any substantial stuff. “Climate change was really the only issue, where the Pacific nations at the Paris Climate Change meeting had all wanted a standard of 1.5-degrees maximum warming, but this time failed to produce any consensus, not even a position statement. He also acknowledged the strategic roll that has been played by the ABC and Radio Australia in preserving and getting out news. “For following democratic norms, the ABC is one of our firm allies in the Pacific”, he said. “Without such a strong relationship we would not have any kind of regional news to speak of. (Marc Niel-Jones, who after several incidents, in 2009 with editor Royson Willie was assaulted after publishing on scandals in the prisons system). “We could rely on them in a political crisis. “It would help to have an ABC reporter in the room, and similarly they would not face political reprisals. He said there was some hope the Nauru government might be getting prevailed upon to quietly change its position, by other governments. “They might be able to bring them back; it would be in the ‘Pacific way’”, he said. Dan McGarry, from a family that had recently migrated to Canada from Ireland, arrived in Vanuatu in 2003 as a technology specialist with non-government organisations working on development. As Chief Technologist with the Pacific Institute of Public Policy, he had worked on capacity building projects and civil society. 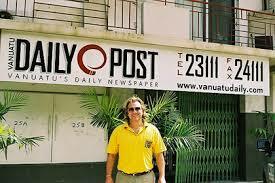 “It was assisting law makers in prioritising, visualising and making open processes, for budgets, fisheries or health care”, and three years ago, “with an reputation for neutrality”, was appointed to his present position as Media Director of the Vanuatu Daily Post group. With the practice of “ear to the ground” journalism he lists developments in a range of fields where information builds up, not always ready for publication. Australia was “back in the infrastructure game” after stepping back from development aid commitments, following the report of a Chinese naval base for Vanuatu. Australia’s main undertaking, a A$40-million road-building project for the Port Vila city area, had been close to a “high profile debacle”; set back by cyclone damage and other delays, it had lost some 20% of its nominal value through currency fluctuations, and he believed had been slowed by contractors lacking experience in developing countries. Australia had overcome competition to secure a telecommunications equipment upgrade for the country. All contracts and tenders came under scrutiny but news sources tended to agree the overall level of corruption had declined. Even with the roads projects there had to be “murmurings” but no source had information leading to publication. China’s problem for this year would be with the large numbers of its citizens lining up to buy Vanuatu passports through a system of agencies. Mainly useful for evading travel restrictions placed on Chinese passports in several countries, these had been selling for sometimes $A155 000. He’s constructed a graphic depicting exponential growth in the passports revenue trade pushing to more than $90-million a year – bringing massive impacts on the small economy if it develops. While the Melanesian countries including Vanuatu were supporting a “yes” vote in the poll this November, the Kanak independence movement, the FLNKS did not look to be pressing hard enough for fresh backing. “There is a bit of national empathy with the three Melanesian independence movements that are active, Bougainville, West Papua and New Caledonia — but not a lot of advocacy here. He said New Caledonia was appearing in regular regional news, such as reports on police actions in demonstrations, and there were signs of some capital being moved out, as with a Vanuatu company obtaining $A5-million dollars from the French territory for financial restructuring. While the government had kept together and weathered no-confidence motions, in the country’s multi-party system it would have to work on taking that through to elections in 2020. Already one opposition group had been working systematically to build up a financial base for a strong election campaign. The Foreign Minister, Ralph Regenvanu, with his new Land and Justice Party had made gains and would be considering it was his time. 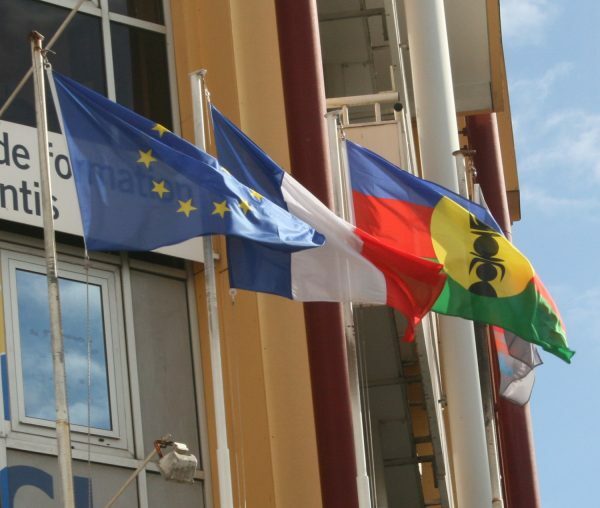 The incumbent Prime Minister, Charlot Salwaii, was a quiet performer but had so far managed to unite divided French-speakers to build a political base.